Most likely college will be the first time in your life you will have the flexibility and independence to set your own schedule. As much as you may be reveling in your new-found freedom, you will soon discover that managing your coveted free or unstructured time will be more difficult than you had planned. Up through high school your time was more than likely structured and organized, with clear reminders for what you had to do, and where you needed to be. And let's not forget those pesky and often annoying parents, whose chanting about "don't forget to do this and that" kept you oriented toward many tasks at hand. As much as you will enjoy the freedom that college life can bring, you may very well hit the wall of freedom overload. In no time, your free time will get filled with competing demands, which will place even more stress on your attempts to adjust to your new educational environment. The following tips should help you both have fun, as well as adjust to college's organizational challenges, while navigating yourself in the direction of college success. Resilience is the foundation upon which time management abilities rest. Resiliency goes beyond being smart or motivated to succeed. It means being strong enough to withstand difficult times while deciding to persevere while steadfastly holding onto your optimism about solving any given challenge, obstacle or problem. Resilient people don't give up; they just figure out a way to get over the hump and solve the problem. Resilience isn't something you have or don't have; it is developed by the very act itself. Practicing optimism while staying in the mix of any given challenge will most definitely build your "resilience muscles!" Reach deep inside yourself and find your inner resilient person! As difficult as it is to quantify resilience, your commitment to developing it will help you past most of your most difficult college problems and seemingly insurmountable challenges. Nothing helps a college student stay organized more than a good calendar! It becomes your memory so you don't have to keep storing stuff in that already overloaded brain. It serves as an external reference which helps you keep on track and lower your anxiety levels. But it will only be the lifesaver it promises to be if you use it on a consistent basis. If you are like the rest of the world, you already have several calendars and other organizational programs at your disposal, be it online or built in to your laptop, tablet, or phone. Your planner is a great way to input all the information and deadlines for the entire semester from your course syllabus. This way you can plan ahead for that big project or ensure enough time to study for that midterm. Having a visual representation of your crazy college schedule will better help you juggle your competing academic demands and your great many new and exciting college adventures. Scheduling your day to day activities is the best "medicine" for feeling overwhelmed and disorganized. If you are "old school," take out a piece of paper and create an old-fashioned to do list. Or carry around a stack of Post-its®. Making a list and then crossing items off as they are completed, can be quite satisfying. Planners, calendars, lists and other organizational helpers will become your best friend - if you allow them to. In college there is virtually no one monitoring where you are and what you're doing. Keeping to a regular routine and structure is very important in helping you avoid the pitfalls of procrastination and avoidance; which then leads to feeling overwhelmed and stressed out. Setting up recurring "appointments" in any of your calendars will go a long way in helping you develop new routines and habits. Become used to scheduling your "up" and "down" time, such as blocking off time in between classes for specific activities, such as reading, studying, running errands, and other important college-life activities. The more consistent you make your days, the more productive you'll feel. The more you know about yourself, the better you will be at adapting to the challenges college life brings. Sometimes our needs and wants conflict so if you're not a morning person do not schedule all 8 am classes as you'll challenge your ability to be successful. Become aware of your energy levels throughout the day, as well as personal preferences as it relates to your ability to follow-through. Plan your day around this. Knowing when you're most alert and able to focus will be key to scheduling your classes and homework time. When you pay attention to your thoughts, emotions and the various manners in which you manage your educational responsibilities, you will become increasingly more competent and confident in the challenges that lie ahead for you. 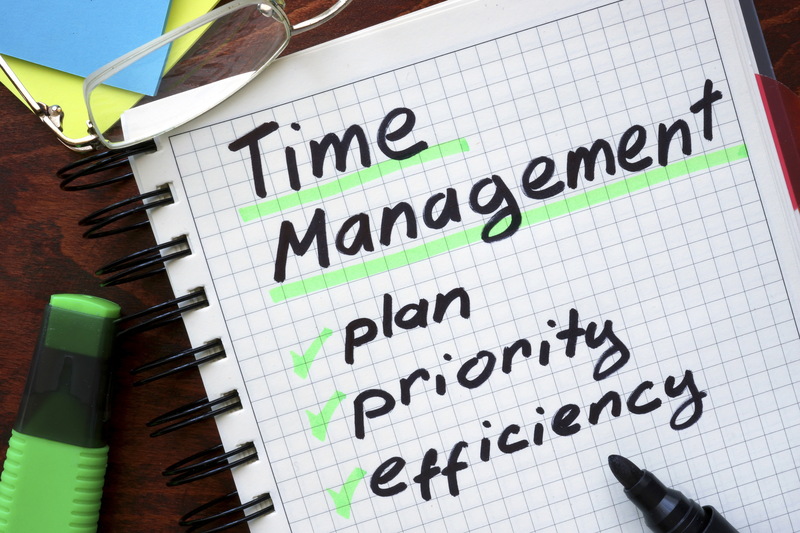 Plus, the more you know about yourself, the more you will be able to tweak and utilize any given time management strategies. Keeping a journal increases awareness of what you do and how it impacts you; be it positively or negatively. Note your eating, sleeping and studying habits and you may find that you actually do better on the test you studied over 3 days for and slept well the night before versus pulling an all-nighter while loaded up on caffeine and junk food. Seek feedback from trusted friends or family. Ask for candid, objective perspectives when you feel stuck. It will open your eyes to a new way to view the situation and allow you to make changes that will help you rather than perpetuate a negative cycle. If you don't feel you have trusted people whom you respect, then seek out a qualified mental health professional to assist you as your "objective observer." Formal feedback in counseling allows you to see your strengths and weaknesses and how best to use them to meet your goals. Use your mistakes as teaching opportunities. Our 'failures' can be our biggest tools for implementing change if we pay attention. Find out what went wrong, where and how and then you'll know what to do differently next time. Prioritize your "to do" list. Make sure you don't put the most difficult tasks at the bottom. Set realistic expectations. 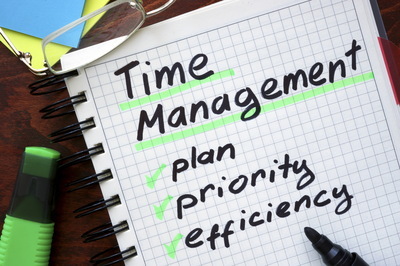 Organize your schedule according to logical completion time-frames. Avoid procrastination. Set rewards/reinforcers to encourage task completion. Avoid Multi-tasking, research proves it truly decreases productivity. Achieve a healthy balance. Schedule in rest, relaxation and fun. It can't be all work and no play. Remove Distractions. Put that phone aside, shut your door, turn the tv off. Nourish yourself. Eat throughout your day. Being hungry greatly impacts our resourcefulness. Get enough sleep. The difference between a productive and a horribly disorganized day can be just an extra hour or two of sleep. Reach out for help when it isn't working. This is what school counselors, resource personnel and friends are for! Ross Rosenberg is a psychotherapist, trainer and the author of The Human Magnet Syndrome: Why We Love People Who Hurt Us. Ross owns Clinical Care Consultants, an Arlington Heights and Inverness IL counseling center and Advanced Clinical Trainers where his seminar / training work is available. Ross is also a YouTube Creator, as his video channel has garnered (as of 10/16) over 4,250,000 views and 40,000 subscribers. Greta Nielsen has over 25 years of psychotherapy experience helping child, teens and adults all ages tap into their strengths and capabilities, endure hard-times, and achieve their life's goals, ambitions and dreams. Greta is considered a preeminent expert on the treatment of a wide range of childhood challenges and disorders. She provides Interactive Play Therapy, Mindfulness Stress Based Reduction, Cognitive-Behavioral Therapy and Family Therapy.